Vinyl records are experiencing a global resurgence. Sales of vinyl records are the highest they have been in 15 years and turntable production has seen a huge increase over the past 5 years which begs the question…. WHY? First there is the novelty of it, especially for the younger music lovers that grew up “digital”. Discovering new music and playing it back on a magic spinning vinyl record is loads of fun. Second is the higher quality sound that you get from vinyl when playing it back on a well set up turntable. The only reason that the CD and then digital music became so popular was not for its superior sound quality, it was for the convenience. 3. It forces us to slow down. We lead a busy and distracted life. From your house to your car to your phone, you can’t go far without running into some electronic device that needs your attention and requires input. 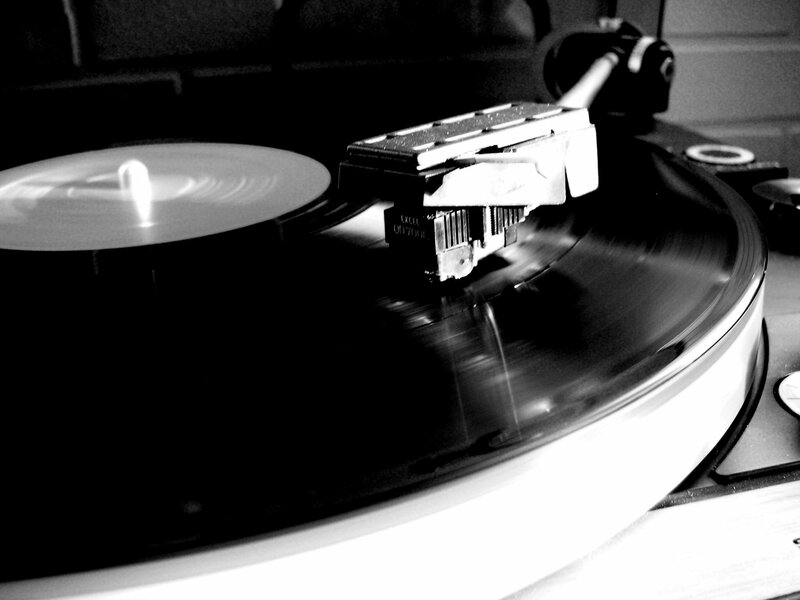 Playing a vinyl record on a turntable forces you to slow down – even if only long enough to clean the vinyl record. Once you place the needle of the turntable in the groove of the record, there is little else you can do besides listen – when was the last time you listened to an entire album? To play a vinyl record you have to physically walk over to the turntable, clean the dust off the record, put the record on the turntable platter and stay in close proximity so you can flip the record over when it finishes playing. This ritual gives listeners an intimate listening experience. Playing a vinyl record on a turntable allows you to feel as though you are a part of the music you are listening to. You feel connected to the music, and rewarded for the effort you put in to make it play. 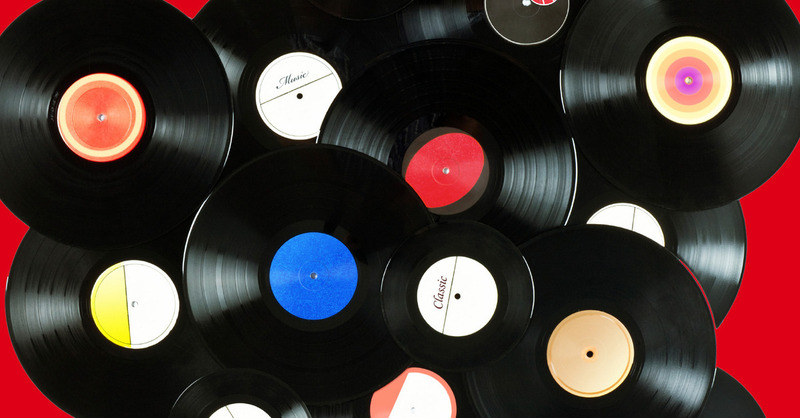 It appears the soaring popularity of vinyl records is here to stay. There are an increasing number of artists and record labels who offer their albums on vinyl records. There is even a Record Store Day held every April where music stores worldwide celebrate everything record related. Vinyl records aren’t going anywhere any time soon. So…. Just what does it take to play those vinyl gems we call records? You will need a record player or a turntable, a phono cartridge (the needle), a phono stage, a stereo or home theater system, and some vinyl records. What is a record player or turntable supposed to do? A record player or turntable has 2 basic functions. The first is to spin a flat disc, at a perfectly consistent speed – and do it without making any noise. Turntables with suspension systems, better motors, larger and heavier platters riding on higher quality bearings do a better job of this. The best turntables can be air driven with linear tracking tonearms. The second function is actually that of the turntable’s tonearm. The tonearms’ job is to perfectly align the cartridge (needle) on the record and hold it with a death grip – and do it without making any noise. The best turntables will have very sophisticated tonearms that allow you to adjust all of its parameters with infinite precision allowing the cartridge to play ALL the music that is in the groove on the vinyl record. How many grooves are there on a Vinyl Record? Two – one on each side. The difference in sound quality between various record players and turntables is as vast as the differences between home audio speakers. And, unlike digital music, it takes a certain amount of skill to combine and calibrate the various components of a record playing system, from proper alignment of the cartridge to properly setting the turntable tonearm , to get better sound. Record players typically cost between $200 and $500 and are a great way to get into vinyl. Record players usually come with the cartridge pre-loaded, a built-in phono stage, and cables. Record players have very little setup or adjustments that you can do, simply plug it into your stereo system and voila – music! A turntable is a much more sophisticated machine. 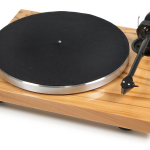 Turntables typically run from $1,500 to almost anything you can imagine. 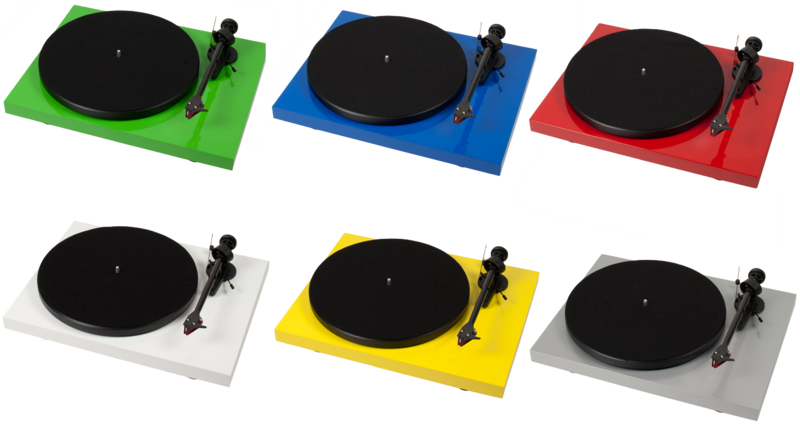 Turntables are built to much higher tolerances than record players and allow you to change the tonearm, cartridge, phono stage, and audio cables. The level of setup and calibration available on a turntable is much higher. At this level, the calibration of the turntable and tonearm is as important as the turntable itself. At Soundings we have set up and calibrated thousands of turntables, from entry level turntables to the best turntables money can buy. With a great turntable, properly set up, you will get sound from your vinyl records that your digital friends can only dream of! I was buying a stack of classical L.P.s at a Goodwill yesterday. (I love how some collectors dump their entire inventory into the donation box..) The young lady at the till has yet to hear the joys of analogue and had several questions about it that I tried my best to answer. Alas, I find this posting afterward. My definition of a TT Vs. a ‘record player’ differs a bit. The RP 1 and Debut Carbon sell for less than $500, but can’t be classed as anything less than a turntable. Crosley, Jensen and the like, with a megaton VTF and a built-in (crappy) amplifier would be record players, in my opine. Perhaps, ‘record destroyers’ would be a more accurate description.